People say there’s no pleasure without pain and for a long time my sweet tooth gave evidence to that testament with chocolate and sugar being a daily fixture in my life. However as my journey as a yogi progressed, the evening gorge on chocolate somewhat lost it’s pleasure. It was as if the clean life I was cultivating through my dedicated practise of rising early, doing my Ayurvedic cleansing rituals, balancing and stretching and breathing a lot, was being unravelled throughout the day, resulting in the 7pm me lying horizontal on the sofa, with Hollyoaks on the box and some chocolatey treat to hand. Did the morning practise ever even happen? It was this point I decided I needed to find a way to bring my yoga practise to my food. 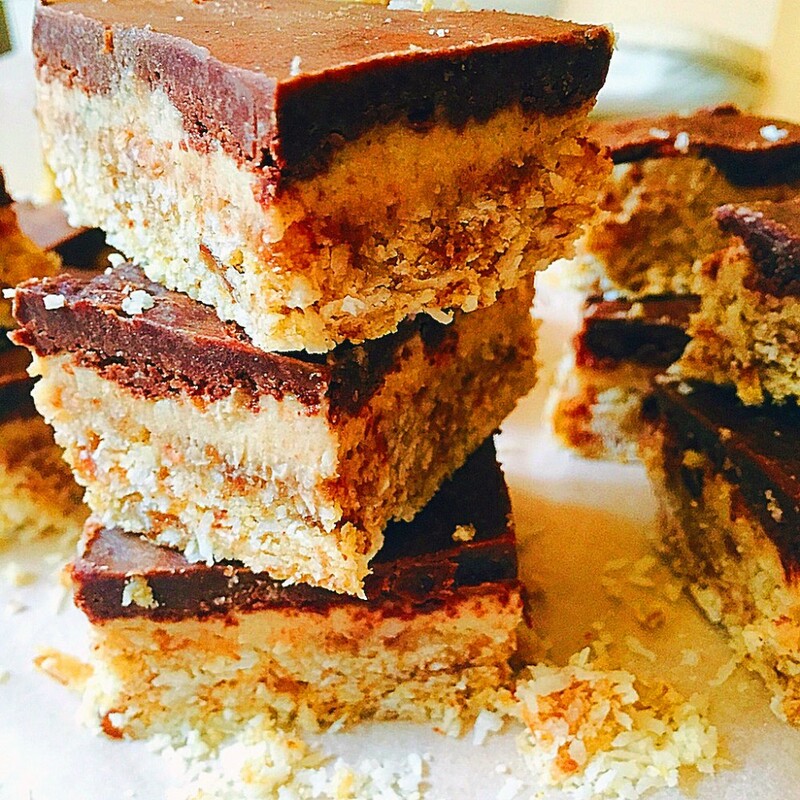 I could never lose the sweet treats, no way, l mean life’s about balance right… So no, instead it was ‘lets find a way of making these sweet treats clean, healthy and yogi loving’ and I have to say the recipe below is the perfect example of this. It’s stuffed with all things brain and body loving, coconut, dates, almonds, cocoa… But best of all this recipe truly is pleasure, pleasure and more pleasure, absolutely no pain in sight! Refrigerate for a couple of hours before cutting into squares and devouring! If you aren’t able to get hold of coconut cream and are using creamed coconut block, dissolve 50g of coconut block with 100ml of hot water. Store in fridge. Will keep for 3-4 days. Mmmmm definitely going to give these a go! Look tasty!